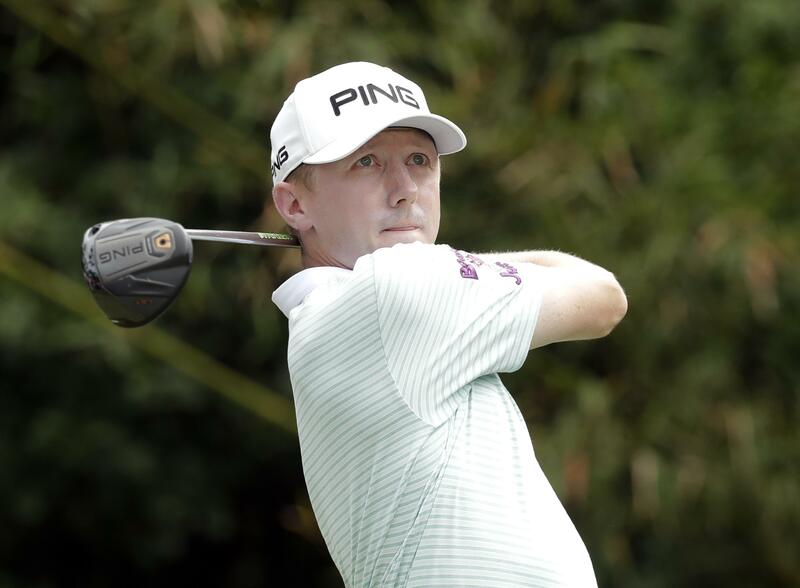 UPDATED: Sat., May 12, 2018, 3:15 p.m.
PONTE VEDRA BEACH, Fla. – Mackenzie Hughes had not felt the jangled nerves and pressure to perform since he won his first PGA Tour event as a rookie 18 months ago. But this was Saturday morning. Breakfast was still being served in the clubhouse. He was 14 shots out of the lead at The Players Championship. And he was playing with Tiger Woods. Woods made it even more memorable with his best round at the TPC Sawgrass, and his lowest score since the end of the 2015 season. Woods opened with eight birdies in 12 holes until his momentum slowed and he settled for a 65. Hughes, who had missed 12 of 15 cuts this season, overcame a rough start with four straight birdies in the middle of his round and finished with a 68. Woods might have lost some of his mystique from when he was the dominant player for the better part of a decade. Even so, his effect is strong as ever, especially among younger players who grew up idolizing his golf – and especially when Woods plays as he did Saturday. Two months ago, Hughes was having lunch at Bay Hill when Woods sat down a few chairs over. The Canadian said nothing. He just listened. “He was 5 feet from me, but I had no real, valid excuse to say, ‘Hey, I’m Mackenzie Hughes.’ So I sat there quietly,” Hughes said. He had an excuse Saturday. Both made the cut on the number at 1-under 143. They finished about the same time, and Hughes knew there was a 50-50 chance for them to be paired in the third round. Confirmation came in a text from the tour, and Hughes couldn’t wait. “If you’re going to do Saturday early, you might as well do Saturday early with Tiger,” he said. In his rookie debut, Hughes was paired in the final two rounds with Phil Mickelson and held his own. Mickelson got him by a shot. Hughes said he tried to putt out once on the sixth hole to avoid the crowds moving, and he missed it. He decided then to just stick to his routine, putt when it was his turn and embrace the fact he had more people watching him than at any tournament he has played. And then he birdied the next four holes, including a 70-foot putt from the front of the green. Even with Woods making six birdies before the turn, that long birdie putt produced the loudest cheer on the front nine. It could be heard all the way over to the other side of the course. Published: May 12, 2018, 12:37 p.m. Updated: May 12, 2018, 3:15 p.m.